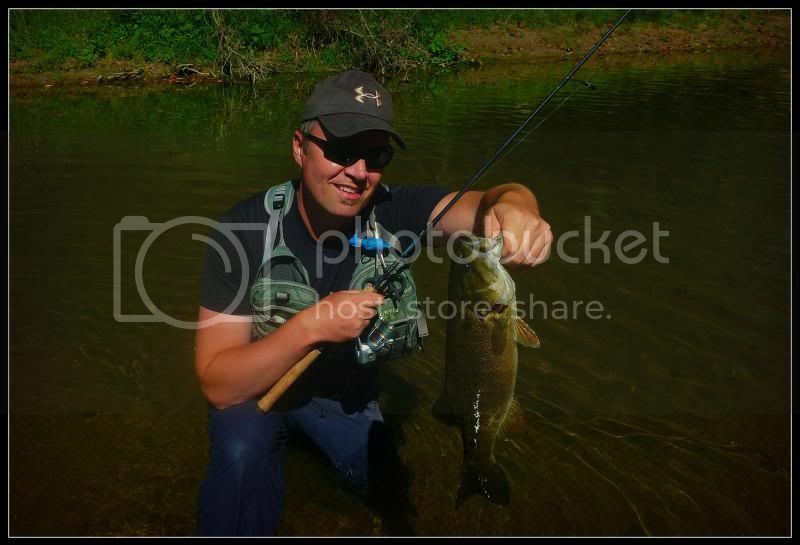 I managed to rope Mike into fishing a stretch of creek far from home, the first time we both had fished this one. It was beautiful day cool, 50-70F, with a nice warming sun. 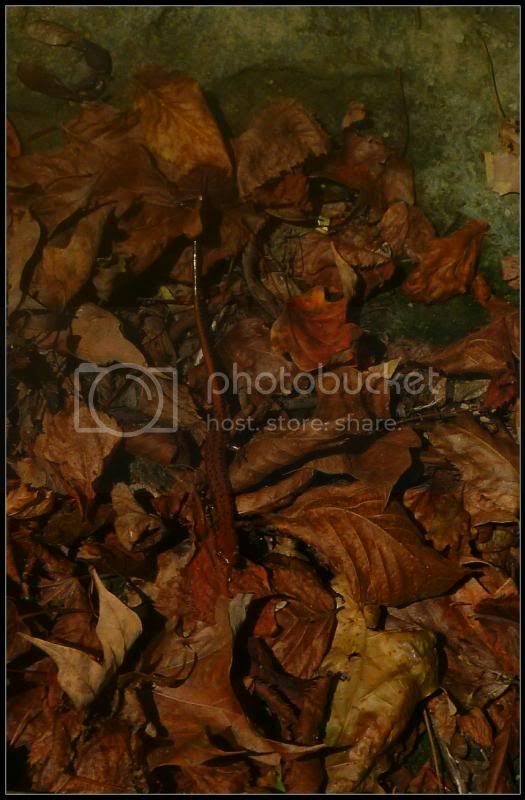 The leaves were just starting to turn colors. A times, a wind would kick up and make the necessary long casts difficult. We also were completely under the shade of tall bluffs which was like suddenly being in the dark. Fishing pretty much started out good, tossing "DUAL SAMMY" 100 the entire day. Never let the Sammies touch, best rule. Could have left everything else at home. Mike grabbed some nice 15"ers here and there. We caught some in odd places. No rhyme or reason to where, but hit at pretty high percentage to hand. We hit a large pool that looked pretty good. Mike had a big swipe at his lure that completely whiffed in the sun. This fish exploded on a Sammy where the sun met shade. Hit 18" by a hair. Extending the 18" streak to eleven in a row. Got a 15" shortly after. At the top of the next pool a couple swipes followed by excited pull away. I started to walk the dog again when a big fish had it. Made the ole first one way, then the other zig zag, rear hook popped out under a lot of pressure. Mike and I had just talked about putting new hooks on and found we were [i]both[/i] out of size 4 Gammie trebles. Surely the pig would have been stuck deeper and more often, if I'd maintained my stock. Bummed me for a while. Slower action that Thursday on another stream, threw me for a loop. When you get used to frenetic action and then there is just good action. Certainly, we pulled more bass together than one person would have. The stream was wide always. Not many dinks so action seemed slower as there weren't the playful misses. During that cliff shaded straight away, wind became a problem. Pinpoint accuracy and subtle control on your Sammy get you bit more often. It became difficult as the lure would drift 20' in the breeze, or get knocked down entirely landing well short of an intended target. But it was all cool. Spending time with a good friend in an obscenely beautiful place. On one cast to a boulder field, a huge fish went completely in the air, not touching the Sammy, only to be grabbed 10' later by a 16.5" fish. A splash at a cross stream rock drew first Mike's attention (missed by 8') then mine (bingo), resulted in an impact strike and this beautiful 17.25" smallie to hand the colors of the mountainside. Then Mike nails a 16.5" after he almost walks into the spot. I yelled, "fish are there!" He is rewarded with his largest at that point. Not many jumpers, these bass would get square and bulldog. Dinks would leap. A camera shy Mike goes on an impressive run with a couple 15"'s and a 17"er who nails his lure as it is about to plunge down a riffle. Very impressive sequence. Fish are everywhere for a while. I airmail a couple chunky 15"'s. The last pool was sadly under heavy shade. I picked a 15" and airmailed a strong streaking 17"er who was followed back by a larger fish. Mike picked a 12" and headed to the car, as I grabbed another last ditch 15" above the bridge. Just a great time. Won't be many more of these. 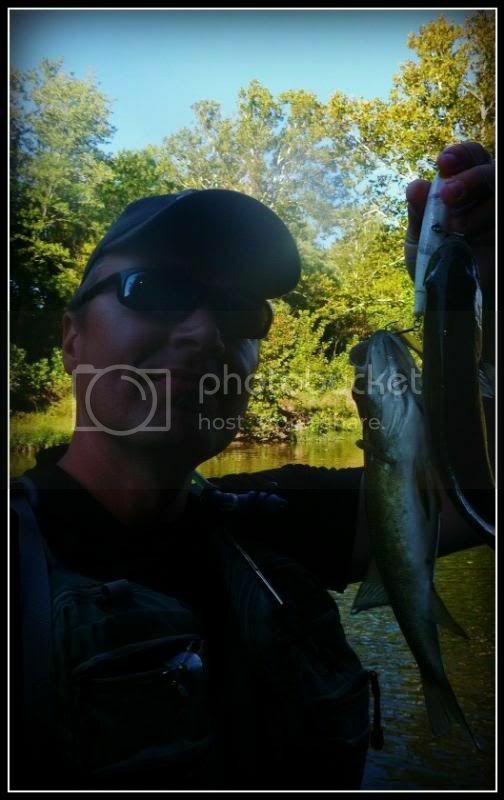 I stumbled on your blog just the other day when looking for smallmouth reports, as I will be taking of for an overnight trip tomorrow on White river just south of Indy. I have to tell you man....this is a jackpot of information for smallmouth fishing in Indiana. 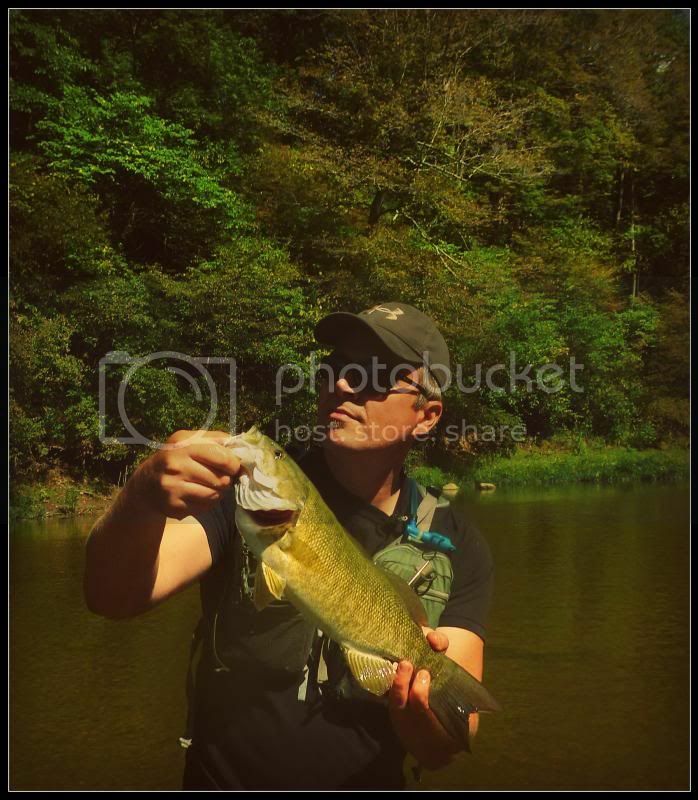 I am a former powerboat fisherman turned wader/kayaker, and have absolutely got the bug for chasing smallies. I'm not sure where you live, but I wanted to know if you would like to get together sometime and do a float. I like learning from guys like you that have been around the block longer than I have. I have spent nearly my entire life learning how to fish for LMB in lakes around here, but smallmouth in rivers/creeks are a whole different ballgame. Let me know what you think. Feel free to email me @ josh.chrenko@gmail.com.